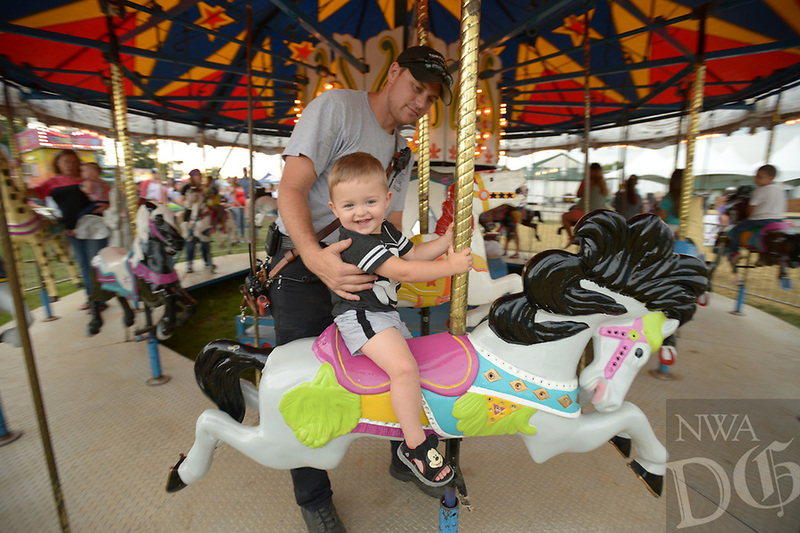 Aiden Pianalto, 2, gets a hand from his father, Justin Pianalto, Wednesday, Aug. 8, 2018, while riding the merry-go-round during the 120th annual Tontitown Grape Festival in Tontitown. The festival continues through Saturday. The festival features a nightly midway, an arts and crafts fair, spaghetti dinners and live entertainment.